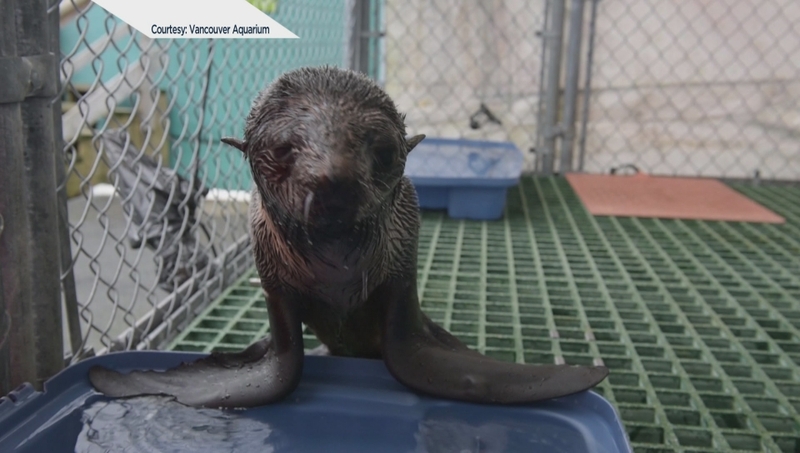 The Vancouver Aquarium Marine Mammal Rescue Centre got a new visitor on January 21, when residents of Ahousaht, a community on Flores Island off the west coast of Vancouver Island, spotted an undernourished northern fur seal pup acting strangely in an area of heavy boat traffic. This is the first northern fur seal the rescue centre has received since its very another pup, nicknamed Nippy, came through its doors in 1960. The northern fur seal is a threatened species that spends much of its time far offshore of the Pacific Rim from Japan to California's Channel Islands. The waters around British Columbia are a particularly important foraging area for the species from January to June. Since the pup was admitted on Saturday, rescue centre staff have observed him closely, treating him for malnutrition and dehydration. Watch the video of the lucky northern fur seal pup below.